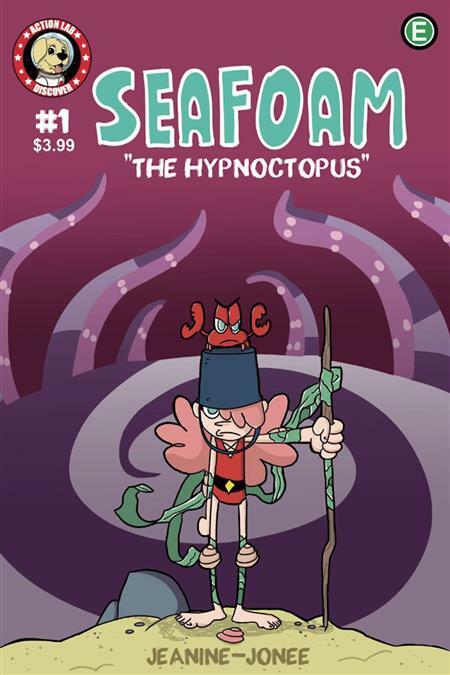 Seafoam follows the adventures of Madison, a spunky 9-year-old girl who is granted passage to a beach full of mystical and nautical themed creatures after helping a beached narwhal. There she befriends a stand-offish boy she calls Blue, who has a few secrets of his own. In their first adventure, the kids face off against the Hypnoctopus, a vulgaris with the ability to control minds.